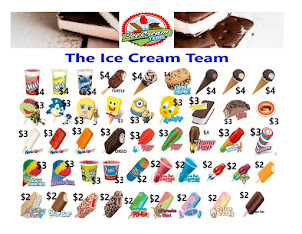 The Ice Cream Team's Blog: Why consider fundraising with The Ice Cream Team? 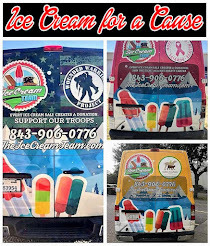 We are proud to have helped dozens of schools, clubs, organizations & parent/teacher groups raise money for their cause! 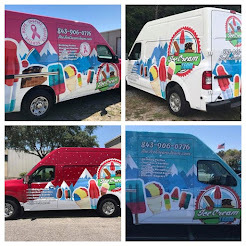 This is a unique and fun way to fundraise in all areas in Charleston County, SC & Berkeley County, SC for great causes. Do you need to fund your theatre program or booster club? Does your school need to upgrade instruments for the band, buy jerseys or sports equipment for a team or pay for a field trip? 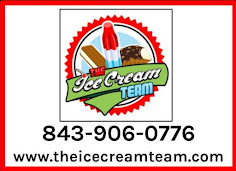 The Ice Cream Team can help! 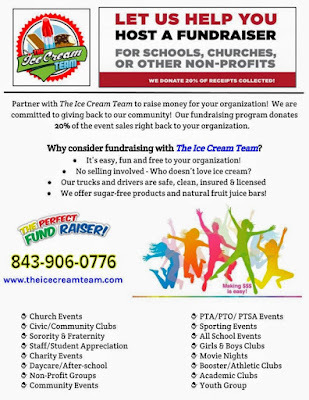 We can also help causes in your community, like Boy or Girl Scout groups, recreation groups, churches, non-profits, or other causes. 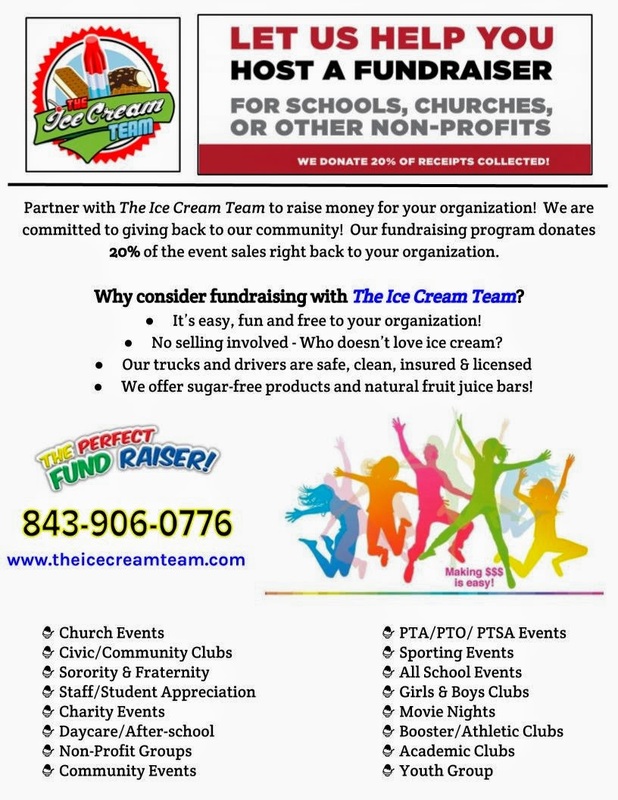 We can help raise funds for pre-schools, elementary schools, middle and high schools, or colleges and universities! It’s easy, fun and free to your school! What types of events do you attend? We’ve found that open houses work best, where there are lots of parents present to help donate, but we often attend other types of events where there are lots of people present!